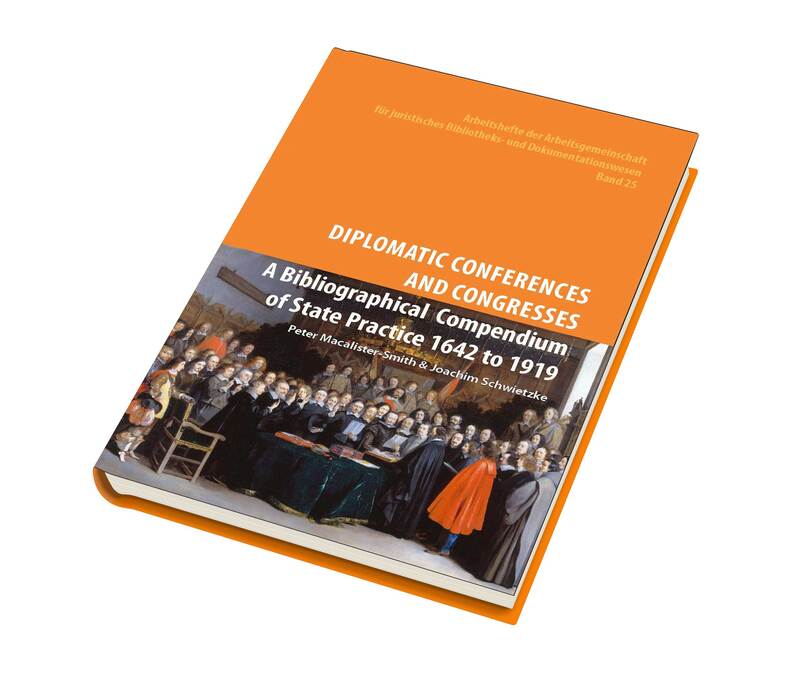 A survey of diplomatic conferences and congresses convened worldwide from 1642 to 1919 with extensive references to their published documents. Includes additionally a synopsis of the resulting acts, agreements, conventions, declarations and other instruments adopted by the states participating in each conference or congress. The meetings of the conferences and congresses are arranged thematically in 111 groups starting at Münster and Osnabrück to prepare the Peace of Westphalia. In total 280 conferences and congresses are recorded. Over one third of the conferences and congresses were held from 1827 to 1919 at London and Paris. Other leading cities in order of diminishing frequency were Brussels, Bern, The Hague, Berlin, Istanbul, Washington and Vienna. The compendium closes with the peace of Brest‐Litovsk (1917) and the Inter‐Allied Conference of the Powers held in Paris and environs from 1919 to 1920. The Latin American and Pan American congresses are well represented, for example at Buenos Aires, Guatemala, Lima, Managua, Mexico, Montevideo, Panama, Rio de Janeiro, San José, San Salvador, Santiago and Tegucigalpa. Annexes supply further information on the Versailles treaty with Germany and the Covenant of the League of Nations. Library Director emeritus at the Max Planck Institute for Comparative Public Law and International Law, Heidelberg, Germany. is known internationally as the assistant general editor of the consolidated library edition of the Encyclopedia of Public International Law (1992–2003) and as the principal editor at the Max Planck Institute for Comparative Public Law and International Law, Heidelberg, Germany, of the Journal of the History of International Law (2004–2015). Peter is a member of the editorial board of JUS GENTIUM, Journal of International Legal History, Talbot Publishing, Lawbook Exchange, Clark NJ, United States of America.